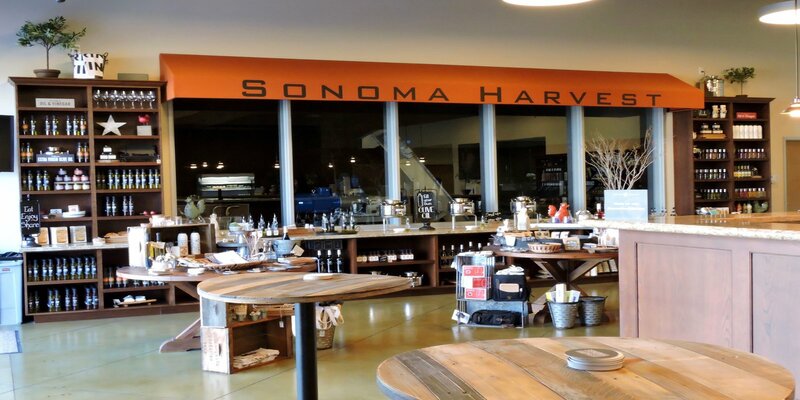 For almost 20 years, Sonoma Harvest has been producing gourmet olive oils and vinegars to the restaurant and retailer world. Now, they bring their oils, vinegars, salad dressings, honeys, mustards, extracts and brand new wines directly to you in their brand new Fairfield tasting room. The Sonoma Harvest Winery & Olive Oil Tasting Room offers wine tastings, olive oil and vinegar tastings and wine country merchandise. There is also a children's play area for young visitors to enjoy while the adults taste. Their goal is to educate and inspire visitors with high quality food and wine trends and olive oil health benefits while giving people a chance to find new bold and daring flavors to try. The tasting room is open daily, 12 p.m. to 6 p.m.
Have you discovered Fairfield’s newest tasting room? Have you met the 'new kid on the block' in Fairfield's growing tasting rooms family? Sonoma Harvest opened its brand new tasting room on Chadbourne Road six weeks ago and the word is quickly spreading about this fun and exciting new place.